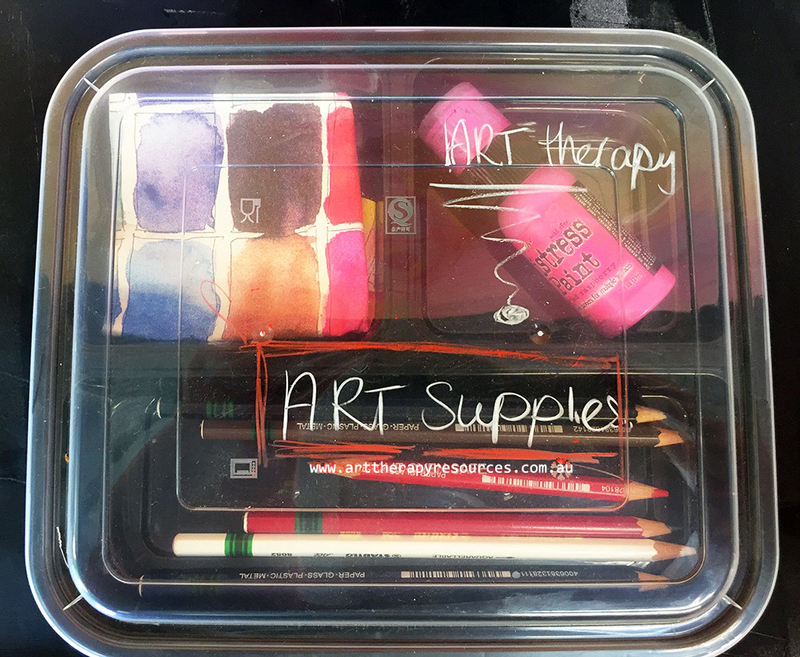 For clients who don’t have much experience in art or working with art supplies, the choice of supplies you have available in your art therapy practice can help reduce anxious feelings about how art supplies can work. This can also affect your client’s self-esteem around trying and mastering new tools. Pencils are the most commonly known art supply amongst any inexperienced user. Many clients prefer to start with a pencil because they are tools that are commonly used. Pencils are familiar and easy to hold for most clients. The flow of graphite is controllable and, in most cases, how the client applies the art medium will often result in the picture contained in their mind due to the controllability of a pencil. 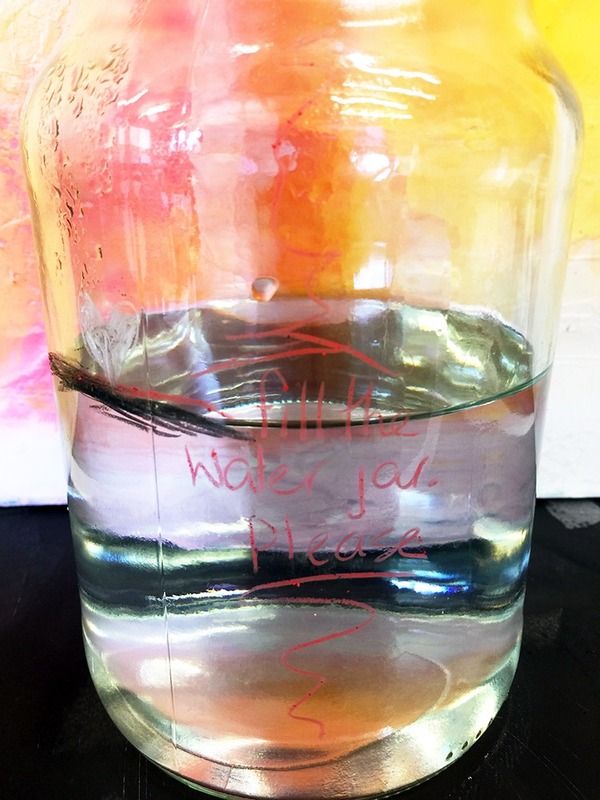 This is in contrast to a supply like inks or watercolours where the pigment is more likely to run out of control when water is applied. 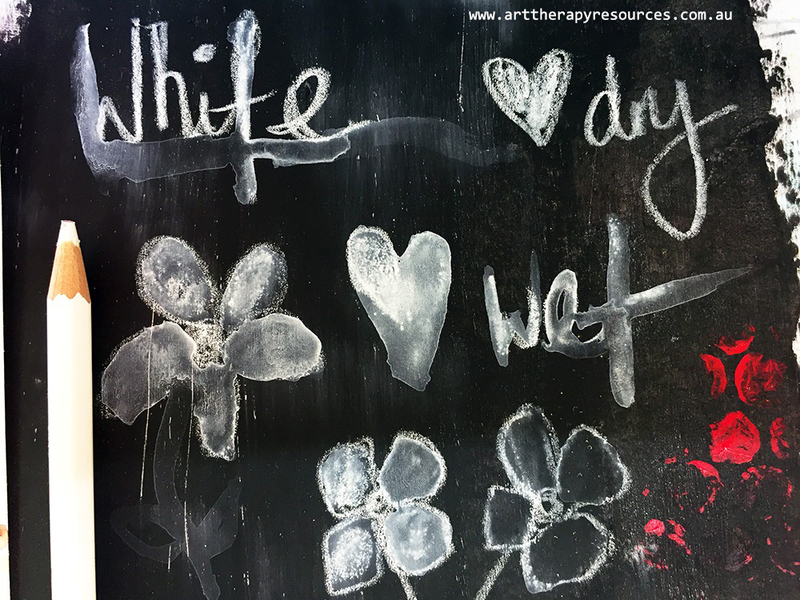 The choice of art supplies that an art therapist has in their practice depends on a number of factors that relate to both therapist constraints and client demographics. 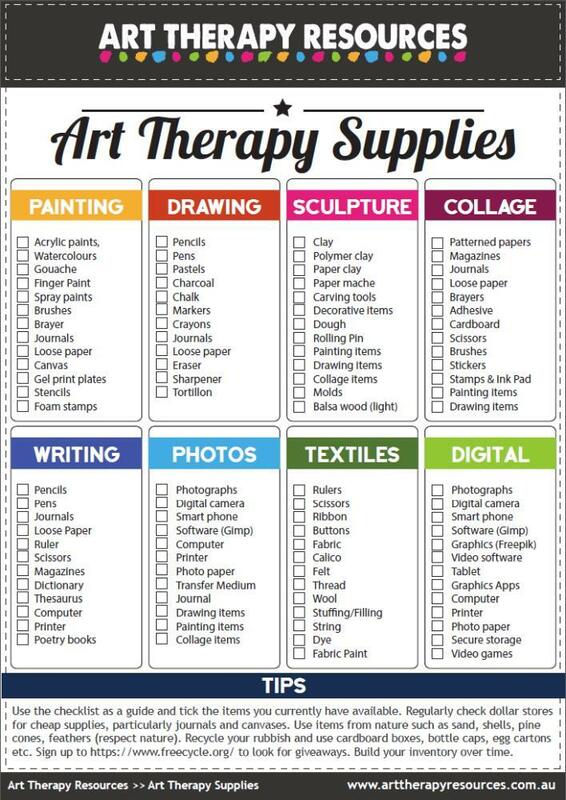 The art therapist has to consider budget, especially when sourcing a large variety of different art supplies in the studio. Availability of the product is also a significant factor to consider when using an art supply in your studio. As art supplies are used, the art therapist has to consider the logistics of the cost and time it takes to source the same product. This is an important consideration based on the location of your practice. Art therapists also have to consider client demographics when choosing suitable art supplies for the therapy studio. If you primarily help children you will want to source products that are completely non-toxic and less prone to spills and breakage. Similar limitations apply when sourcing art supplies for elderly clients with physical limitations. For the client, whether an art supply is easy to use will have an effect on how the client perceives art making. 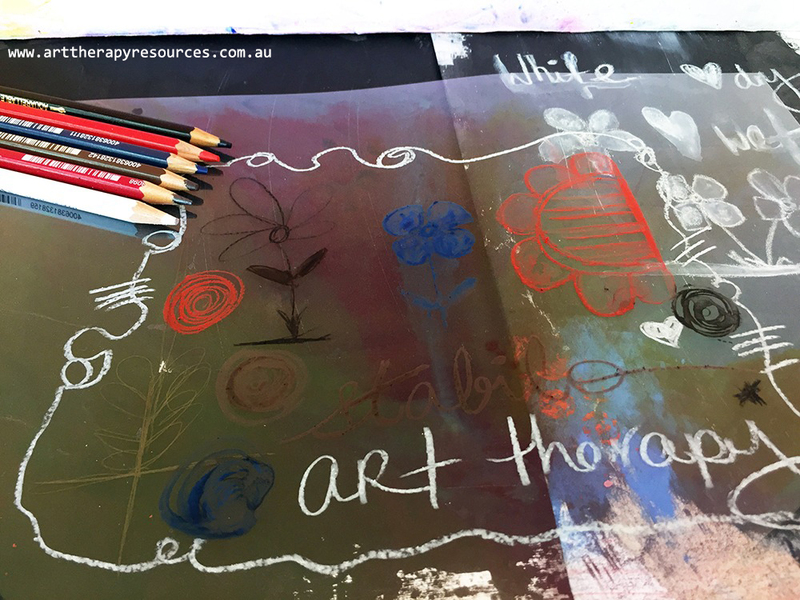 If a client is struggling with an art supply that is difficult to control or use, this may negatively impact their belief in their skill level as well as their perception of the level of difficulty of art therapy in general. Art therapy should be a welcoming activity that facilitates easy self-expression for the client. The client should not be spending their session time on attempting to use the art supply with little success. There is an element of experimentation for the client as they may want to explore new supplies they have never used before. If you notice your client is drawn to a particular art supply you can include this in your notes to ensure you repurchase the product if you need to. 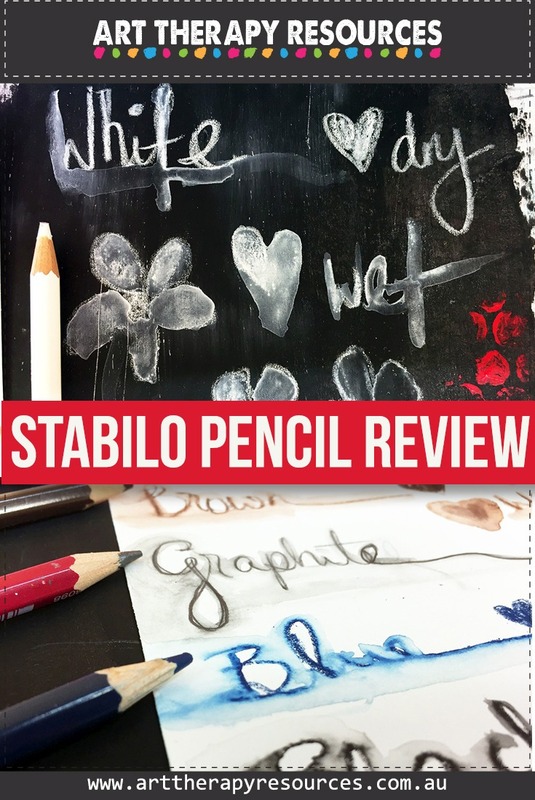 In this review, we’re looking at a product called Stabilo All Pencil. This pencil is inexpensive, versatile and easy to use product that clients from all ages and art experience can use. The STABILO All graphite color pencil is designed to write on almost any surface! This colored pencil is available in 9 aquarellable colors. The STABILO All is ideal for artists and professional users with special requirements. This is a versatile graphite color pencil that can write on a large range of surfaces, including glass, metal, plastic, stone, paper and porcelain. Perfect for artists or professionals (e.g. in the industrial sector), this pencil is also handy for use around the home. It is available in red, blue, green, yellow, brown, black, white, graphite and orange. The high-quality pigments offer good, solid color that can be easily wiped off of surfaces with a damp cloth. The pencil is made from the highest quality graphite, and is easy to sharpen. STABILO All pencils are all-rounders that will satisfy even the most unusual of needs. As this product can be used on a variety of surfaces including glass, metal, plastic, and paper, this means your client is not limited to only paper when using a pencil. With this pencil, your client has the ability to draw, label and title any type of surface they use in an artwork. The Stabilo All pencil is watersoluble which means you can easily remove any mistakes or make any changes to your work. 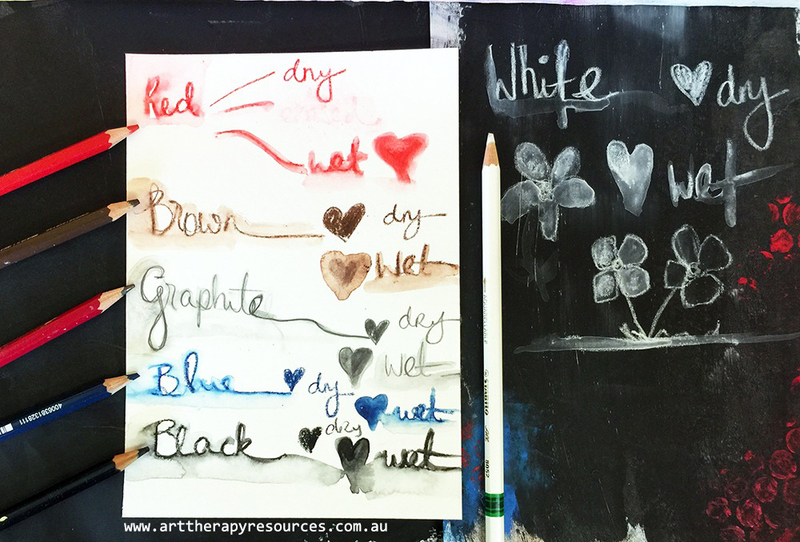 You can also use it the same way as watercolour pencils to create washes and blended colours. One point to note is that the graphite is waxy and slightly soft. This means when using the pencil, the graphite is used up faster than a standard pencil. In this case, you may find you need to sharpen the pencil more frequently to keep a sharp point. Also when using the pencils, you should consider the practical application of how any watersoluble product is used. If water or other wet art mediums are used on top of the Stabilo All pencil, then you run the risk of your pencil marks ‘bleeding’ or your art supplies blending into each other. The Stabilo All pencil can be used both wet and dry. 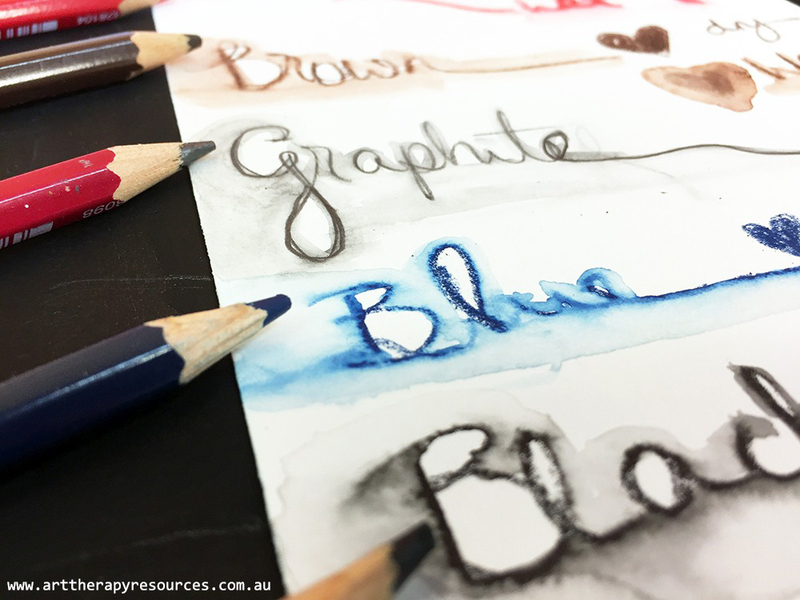 When using it as a wet medium, you can apply water to create watercolour wash type effects or you can use water to entirely remove the graphite from your artwork. The Stabilo All pencil isn’t a substitute for watercolour pencils as the graphite tends to blur when water is applied or completely dissolve if a lot of water is applied. Watercolour pencils are designed to allow you to blend and move your pigment around to create your artwork. From an art making perspective, the Stabilo All pencil is great for creating outlines as rough sketches when starting new artworks because the graphite can easily dissolve from water or applying other art mediums over the top. From a practical point of view, you can use the Stabilo All pencil as a marker to label hard surfaces such as plastic, metal, glass, stone and porcelain containers that you might have in your art therapy studio. The graphite is easily removable if you want to change your label. Below are some images showing the use of the Stabilo All pencil in a variety of colours on a few different surfaces. Stabilo All pencil on plastic – great for labeling especially if you want to change the labeling in the future. SIGN UP below to download the FREE Art Supplies Checklist.